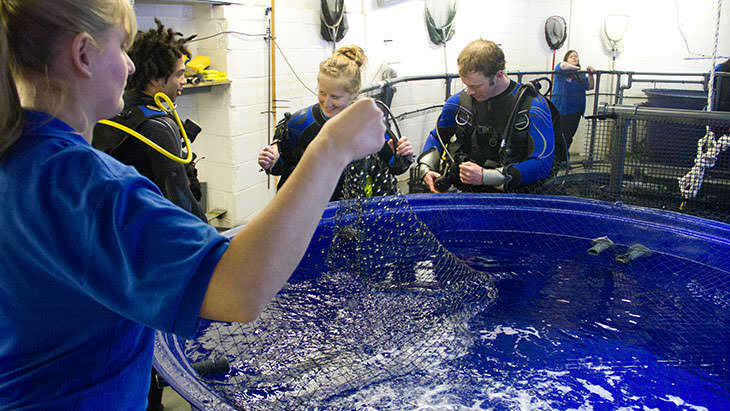 There are currently two different volunteering opportunities within the husbandry team. Husbandry internships allow volunteers to immerse themselves within the husbandry team for a period of 3 months. The intern will assist a particular biologist in the day to day running and development of their area. This role is rota’d and includes weekends. Industrial placement roles are for students whose degree course requires an industrial placement year. The student will gain an overall view of all the husbandry areas and will assist the husbandry team with the development of the aquarium. This role is rota’d and includes some weekends. If you are interested in either of these roles please complete this Expression of Interest Form – Husbandry 2019 and send to [email protected]. Neither of these roles are paid and to work with our Husbandry Team you need to be over 18.